Furnace Replacement, Rentals & Repairs - Geo-Teck | Free Quotes! Most homes are heated with either furnaces or boilers, but the majority of Canadian homes rely on a central air furnace to provide them with heat. A furnace works by blowing heated air through ducts to deliver the warm air to different rooms of the house via registers or grilles. Furnaces can be fuelled by gas, electricity or oil (although oil is much less popular). Inside a gas or oil-fired furnace, the fuel is mixed with air and burned. The flames heat a metal heat exchanger where the heat is transferred to air. Air is pushed through the heat exchanger by the “air handler’s” furnace fan and then forced through the ductwork downstream of the heat exchanger. At the furnace, combustion products are typically vented through a sidewall with 636 PVC pipes. Older atmospheric furnaces vented directly to the atmosphere, and wasted about 30% of the fuel energy just to keep the exhaust hot enough to safely rise through the chimney. Condensing furnaces are designed to reclaim much of this escaping heat by cooling exhaust gases, where the water vapor in the exhaust condenses into water. 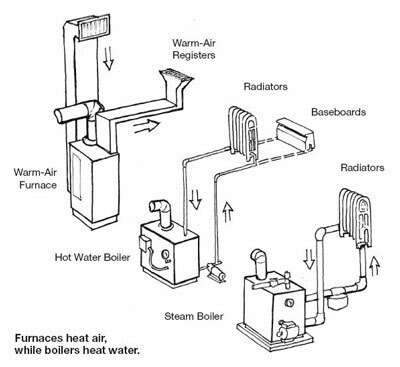 This is the primary feature of a high-efficiency furnace (or boiler). These typically vent through a sidewall with a 636 PVC pipe. To find out which type of boiler system is right for you, contact Geo-Teck today for a free no obligation consultation and estimate. 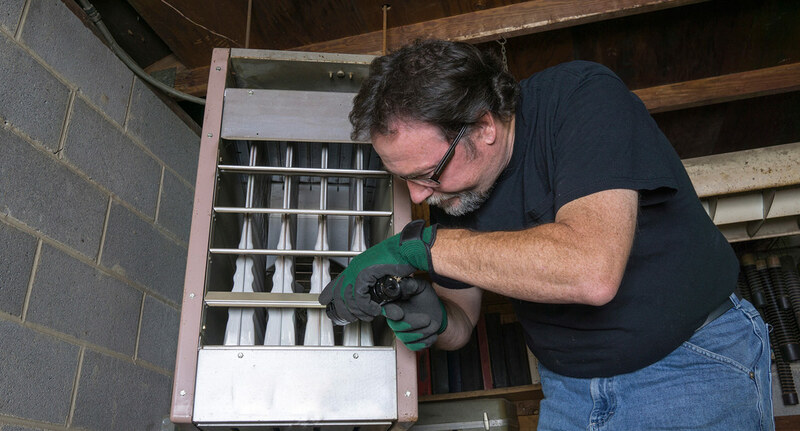 If your system is at least 15 years old (and hasn’t really been maintained), you’ve been finding that your utility bill has been rising steadily each year, then it could be time to buy a new replacement furnace. Today’s furnaces are more efficient than ever, which means replacing an older furnace with a newer energy-efficient model will pay for itself over time with lower energy costs. If you’re interested in a buying a new furnace, give Geo-Teck a call. Before pulling the trigger on a new furnace its vital that you speak to a certified contractor to have your heating system sized. Choosing the correct heating output is critical to getting the most efficiency and comfort out of your new furnace system. If your furnace is too small, it won’t be able to keep your house warm during the winter as the space will be too large for the unit to keep up with. 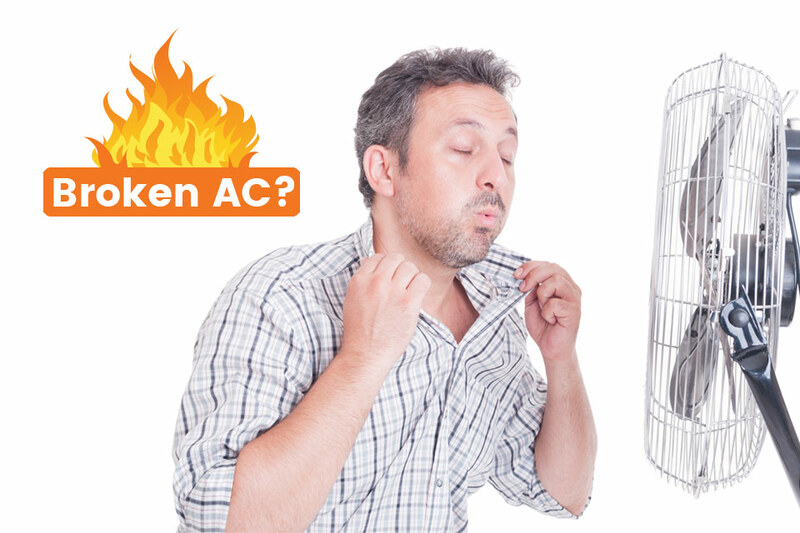 If the furnace is too large it will turn on and turn off more frequently, wearing out components and wasting energy. Geo-Teck can come out to your home, measure your room sizes and spaces, and calculate exactly what you need. No up-selling, no short cuts, we want you to have the best system for your home and for your budget. Whether you want a furnace installed for a new home, or an existing home, Geo-Teck can help. We offer professional, streamlined installation by expert installers. Our highly qualified, certified technicians are experienced in designing a system for your house according to your blueprints, drawings and your specific needs for your furnace system. We sell and install YORK furnaces that carry the Energy Star label, meaning you’ll get the best energy efficient system on the market currently. We have been installing furnaces in homes around Ontario for over 40 years, and have a long list of satisfied clients to prove it. We have certified gas fitters 1, 2, and 3, meaning we can handle your entire project from start to finish. 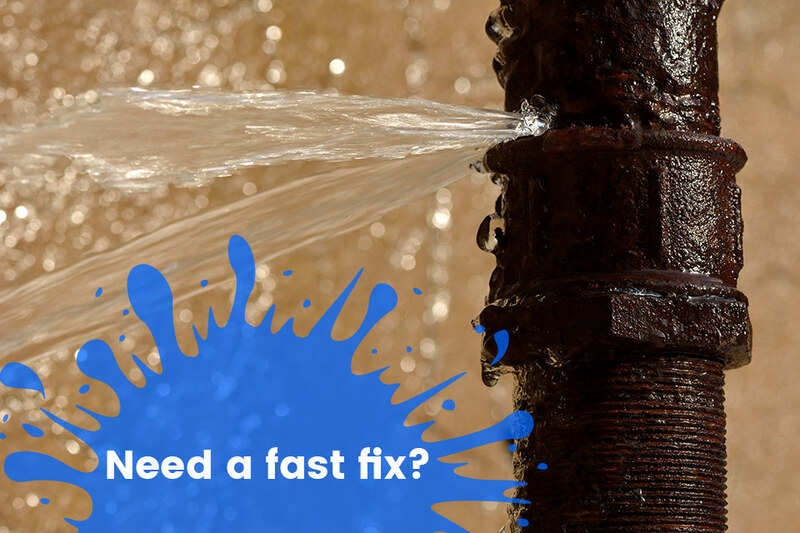 Contact us today to find to get a free estimate or find out more information. We will thoroughly review your current system and make the best recommendation for your home. We live in Canada. That means if the heat isn’t working and it’s February, it’s dangerous to you and your family, and also may cause large amounts of damage to your home, such as frozen and burst pipes for one thing. 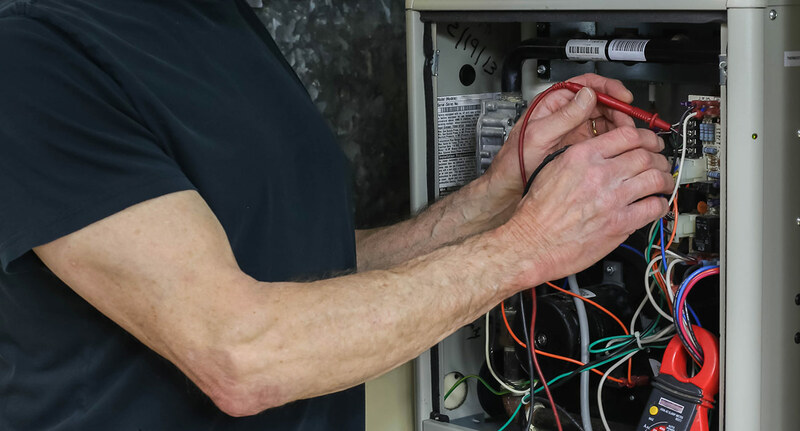 Our HVAC team is made up of certified, licensed, trained and experienced professionals who have been serving our customers around Ontario for over 40 years. Geo-Teck is a trusted name in Grand Bend, Ontario, and for hundreds of kilometres around our town. 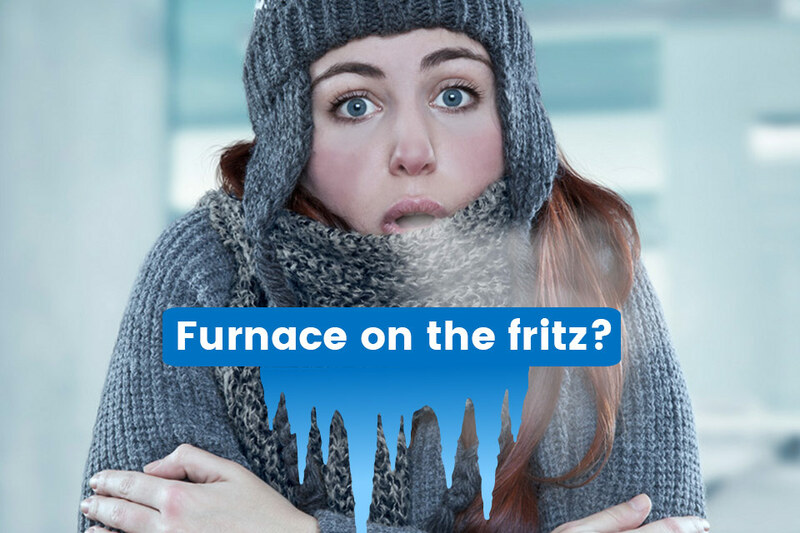 When your furnace is broken, there is dirt in the system, the heat exchanger is cracked and leaking carbon monoxide, the filters need changing, or the thermostat is on the fritz, contact us right away and we will be there in a heartbeat. We’re also available 24/7 with emergency service hours to get your heat back on again. All equipment, no matter what it is and how reliable it may seem, needs maintenance. You maintain your car, you maintain your lawnmower, your furnace is no different. Because your furnace burns fuel inside the home, safety is a huge priority for us, and it should be for you too. Without at least an annual inspection on your furnace, the efficiency of your furnace will go down, and the probability of repairs will go up. We offer one time maintenance visits, we also offer an Extended Service Program which you can check out and apply for. Our ESP which has been designed from the ground up to provide complete peace-of-mind, and save you money by extending the life of the system and maintaining its efficiency, saving you money in the long run. 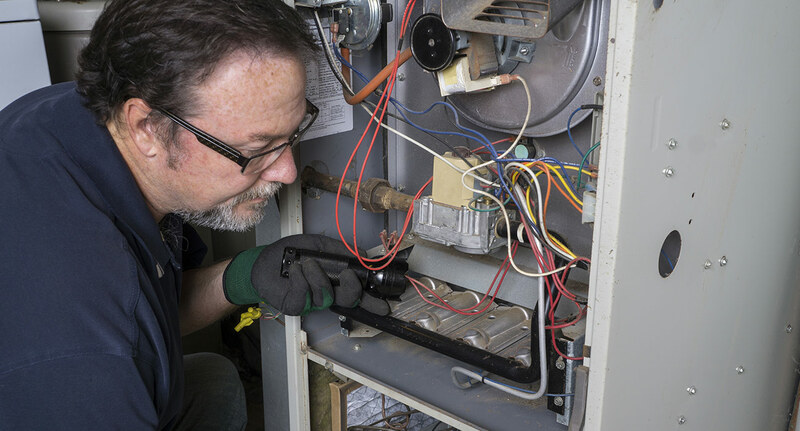 Our technicians will look at your furnace piece by piece and make sure everything is working as it should, and safely. To find out more, contact Geo-Teck today. A new and modern thermostat for your home can save you money by reducing power consumption to heat and cool your home, and not only that they can keep your home at your favourite temperature. From programmable thermostats to touch screen, wifi enabled home automated thermostats or smart thermostats, Geo-Teck Heating & Cooling sells as well as installs thermostats that fit your lifestyle, habits and budget. Whether its a new home, an upgrade to your existing HVAC system or even if its just to control the temperature in one room, Geo-Teck Heating & Cooling have the right thermostat for you. Geo-Teck is proud to be the leader in heating and cooling installation and repair in the Huron, Perth, Bluewater, Middlesex and Lambton Regions. Thousands of customers and contractors have entrusted us with their home comfort solutions. Give Geo-Teck a call, we’d love to chat about your needs and we can make a recommendation for you to get the most out of your house in the summer and winter months.